The first major equipment subcontract for the Future Submarine Program was signed on 7 April between Naval Group and MTU Friedrichshafen GmbH (MTU) for the design of the Diesel Generator Rectifier (DGR) for the Attack class submarine to turn mechanised energy into electricity. 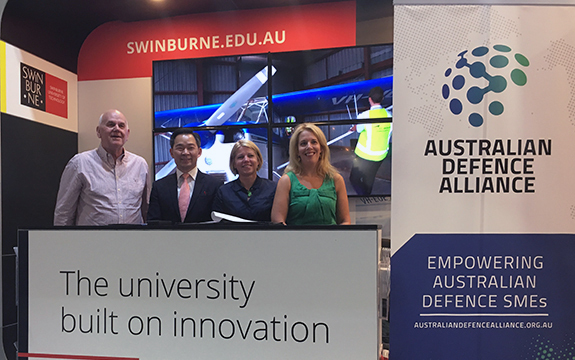 At the recent Australian International Airshow the Victorian Defence Alliances, Australian Defence Alliance and Swinburne University signed a Letter of Agreement to partner on the delivery of a program of activities to help defence industry SMEs on their transition to digitilisation. Hundreds of new Australian construction jobs will be created following today’s historic sod turning event at the site of the Future Submarine Construction Yard at Osborne in South Australia. Minister for Defence, the Hon Christopher Pyne MP, and Minister for Finance and the Public Service, Senator the Hon Mathias Cormann, said the sod turning marks the formal beginning of works at the yard. In keeping with our commitment to raising awareness and providing support across Regional Victorian SMEs, on 11 September 2018, AIDN-VIC and the VDA, in partnership with the CDIC and with special representation by AW Bell, met with a group of 24 Latrobe Valley Regional businesses, City Councillors and LaTrobe Valley’s Mayor, Cr Darrell White OAM, to discuss the state of the Commonwealth and Victorian Government defence agendas; how diversification across sectors plays into those agendas; and the variety of ways and means available to companies to source assistance in navigating the defence market. Those who attended the recent VDA-Submarines Member Briefing heard from Brent Clark (Special Advisor to the Chairman, Naval Group Australia) and David Chuter (CEO, Innovative Manufacturing Cooperative Research Centre, IMCRC). 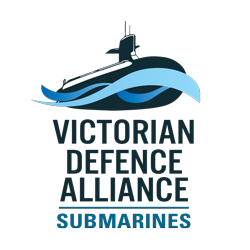 Those who attended the recent VDA-Submarines Member Briefing were treated to a very informative and engaging session.